Home » MakeBadger's templates shop » Business Card with employee photo. OBC-01. 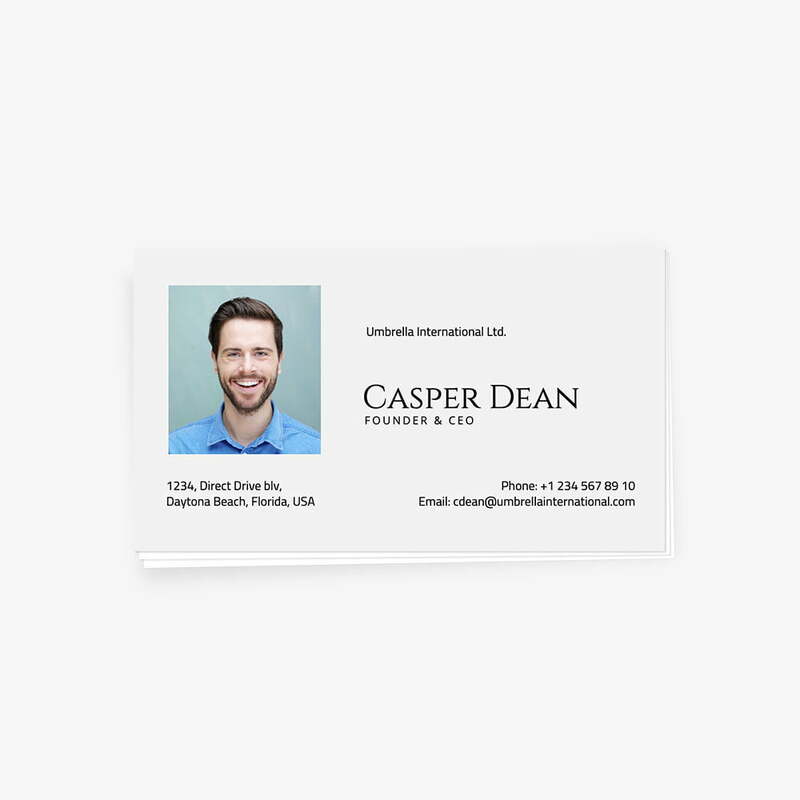 Classic Business Card with the owner’s photo, name, and contacts. Fully editable and ready for your customization. To customize this template you should click the “Personalize” button below. Please register and sign in to your account to get an ability to save/download your artwork. Need to refresh your business card? Create it just in minutes using this awesome and free online template without spending a cent! You can make it even without any graphic design knowledge. Feel free to use it as a base for your own creative artwork. The Business Card listed here is the awesome example of the great design and fonts selection. All you need is to change the photo, fill the text fields with your data and customize the colors to correspond with your corporate style. Enjoy! After making customization you can print your artwork using your printer or save it for further print in a local print shop. Modern Corporate badge template. ONB-02. Simple free name badge template. ONB-01.